I'm So thrilled to get to introduce you to our Darling Mermaid Moka Pearl! She's one of the newest additions to the Moka collection created by Nancy McKinney! And here's the SFYTT for June 2012..
Ahh, Pearl is adorable! Love your coloring and what a fun card! Oh how cute!!! I love the different colored waves and the little dolphin peeking out of the water. Your coloring is fabulous!! Beautiful card! Love your coloring and the clouds. They look so sweet and puffy. Oh my this is gorgeous! Love the coloring! And the lovely waves! Beautiful card! This is just too precious, love it! That sweet little mermaid is too cute and the cute dolphin, sweet. The Moka's sort of scare me...but yours looks perfect! 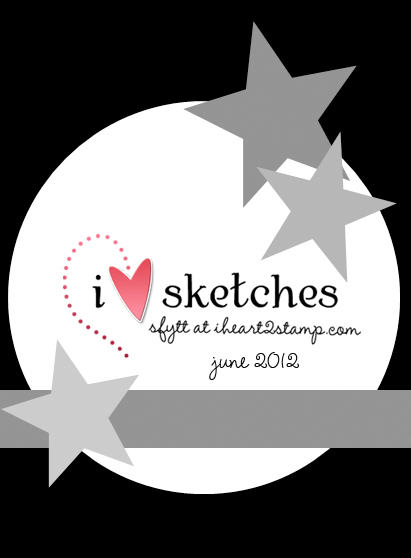 I get a little less intimidated every month when I see all the great blogs....who knows, I may tackle one yet! So beautiful, Shannon! Love the mix of colors and your coloring on this sweet, sweet image! Welcome to the Baker's Dozen Shannon! I love your card. The embossed clouds and the dolphin nestled in the waves are so cute!! Love that mermaid! Beautiful card. this is just too cute Shannon - i love how the dolphin is jumping out of the waves. and amazing coloring!! Oh, she is just beautiful!! I have always loved mermaids, too, and your card is totally amazing!! 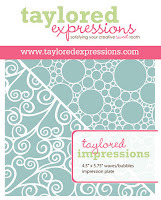 It truly evokes the sea, and I love all of the layers and embossing and gorgeous coloring!!! Lovely!! Thanks so much!! Shannon, this is delightful!!! Love the little "waves" and the clouds too with this adorable image! So very cute. whow really cute scene ..terrific card great new release peeks today! Welcome to the design team. Your Moka Pearl card is so very cute. Wow! this is gorgeous Shannon!! I love the little scene that you've created. The mermaid image and dolphin are SO sweet and I love those waves!! and the clouds.. it's a really cute card! Gorgeous coloring!!! Fantastic card!! Congrats on joining the DT!!! Shannon, she's a beauty and the dolphin is sooooo cute! I just love how you colored her tail! Wow, all the texture is awesome. The waves, the clouds, the layers...all gorgeous. Cute Cute and more Cute! What an adorable combination of stamps and design! I love the way you colored this mermaid! Sweet!! I swear every new stamp I see makes me love this new release a little more. Your coloring is fantastic too! Hi Shannon! This is so so so cute and happy! Made me have a big smile! Love that little dolphin popping up to say howdy! Really happy to be on the same team with you! Oh my!! Your sweet Pearl is just gorgeous! And I LOVE how you added the little dolphin popping out... so clever! So glad you've joined us Shannon and can't wait to see the rest of your projects this week/weekend! Adorable card Shannon! You did an amazing job coloring the sweet mermaid and I love the die cut waves! Sooooooo cute!! What a happy dolphin!! What a fantastic card! Your mermaid is just off the charts cute! Your design of the whole card great! Holy Moly gorgeous!! 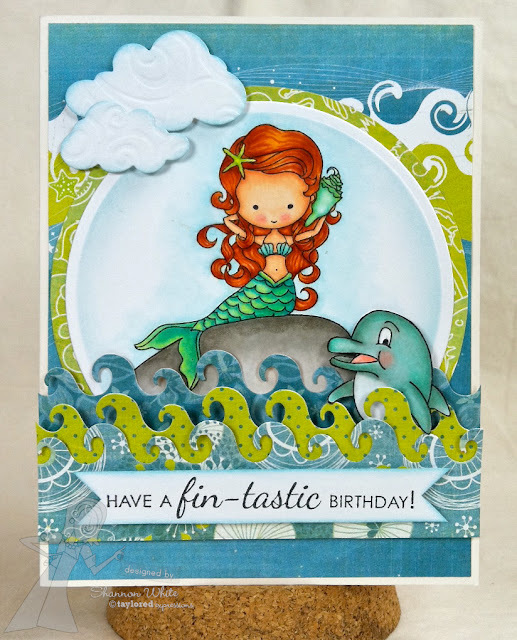 LOVE the colors and love Moka Peal with her little dolphin friend - so many layers, textures and colors all in one card -you got me dizzy from all this gorgeousness girl!!! Beautiful!! Oh My Word Shannon!! Your coloring is AMAZING!!! Too cute! !